This will be my last post about the lead up, then onto the good stuff, I swear. 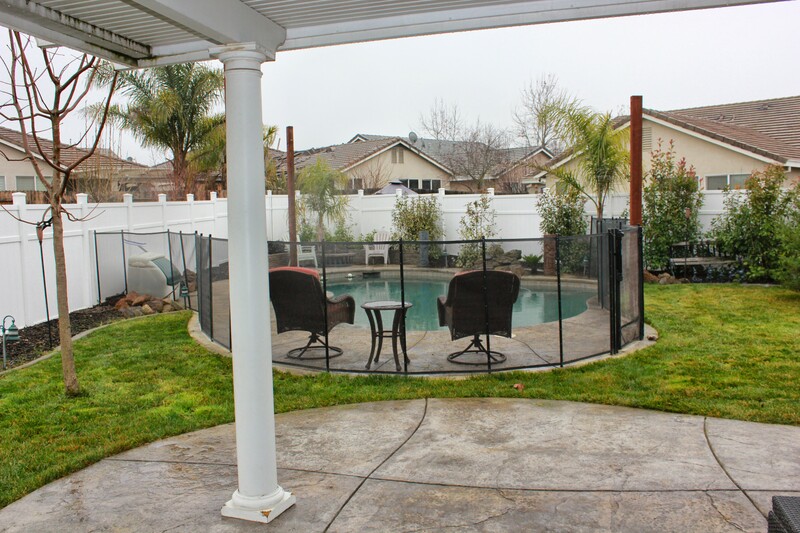 When we first thought of moving, our search started in Sacramento. This has been our home for 16 years, we wanted to stay. The problem is the lack of move up housing in Sacramento. Believe me, we tried, we looked. 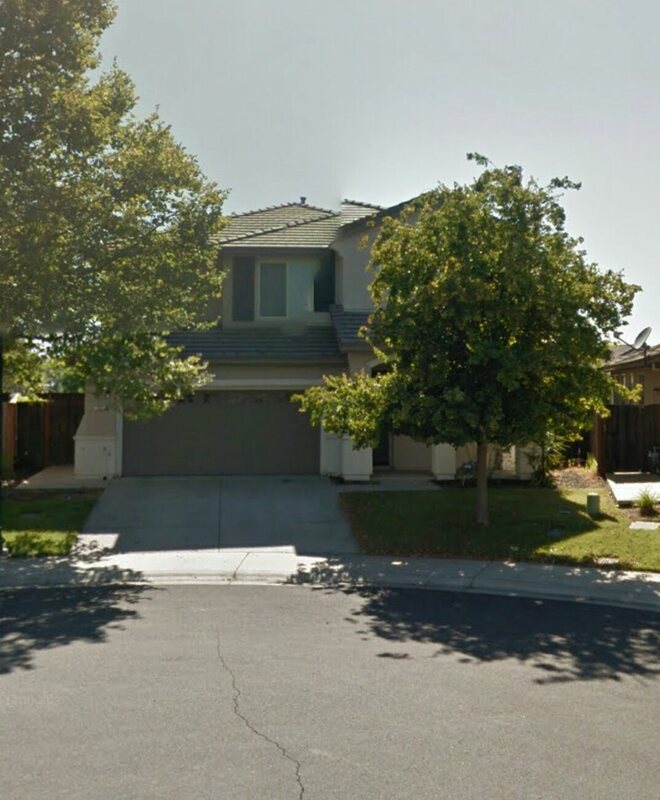 We looked in natomas, but it is just more of the same, the houses are all the same age, similar sized yards and features. We looked in the pocket, but it’s older and wasnt what we wanted. East Sac homes are too small. Honestly, what is there when you want to move up in Sac? It makes me sad. This is the community we’ve lived in the entire time we’ve been in Sac, we love our school, the kids play sports here, I volunteer here, so it’s hard that it no longer meets our needs. I’ve believed for a long time, that if there is a problem, try to fix it. My pet peeve is being a part of the problem rather than the solution, so we got involved. Back when we were building the wall I learned a tremendous amount about housing and housing policies in the city of Sacramento, I also worked in housing for the state, so had a good understanding of what was going on around us. 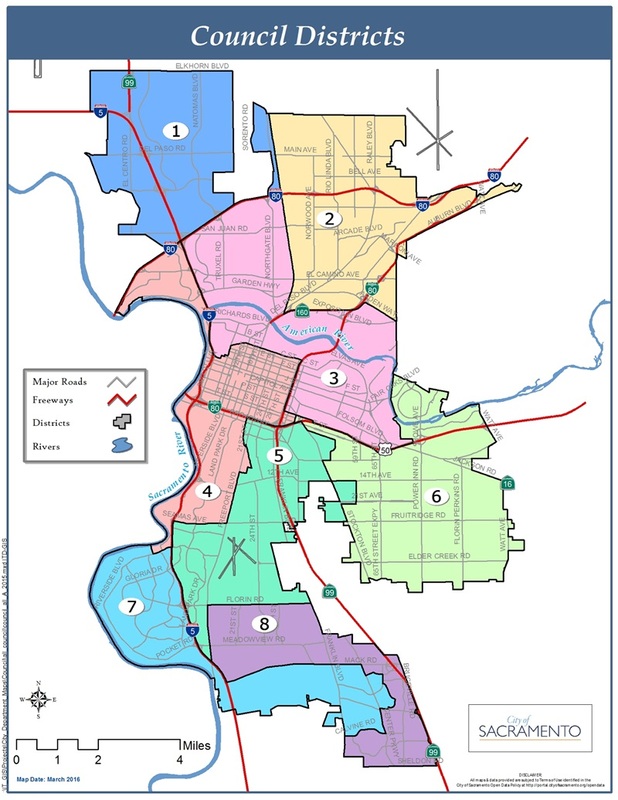 In 2010 I was appointed to represent natomas and downtown in a stakeholder group working to rewrite the mixed income housing ordinance in Sacramento, an antiquated policy written in 2001 that was having a crippling effect on natomas. For months we met, builders, housing advocates, and community members, and it was completely fruitless. I stayed very involved in the conversation up until Logan was born in 2014 and I took a year off. The meetings are hard as a stay at home parent of 3 very young kids. When the neighborhood association in our area got a fresh start, I became the vice president, it had a good run for a while, got community and police involved, hosted a school board forum, but we really lacked many big issues to tackle and keep people involved. North natomas community coalition was my favorite group to be a part of. This was the meat and potatoes of what was going on. The core group on involved residents in our area, leadership from each HOA and association, meeting to discuss any building and policy proposals that would effect our area. This was where I felt the most good was being done. When we began building, running a small business and having the kids, the meetings were just too much so I’ve stepped back again. Most new building proposals continue status quo for our area and the closest thing to move up housing won’t materialize for a good 5-10 years. There has been a mass exodus from Sacramento to surrounding communities like Roseville and Folsom. As Sacramento has continued to build down, they are building up. I hope to be involved in our new community as well. It will take time to gain similar ground, find where the valuable conversations are being had and where my time is best used. When we first started considering building, I posted in a facebook group asking for opinions for others who had considered the same. I will never forget, a response from a Realtor that basically said “don’t do it if you can avoid it”. I asked why and she said its an immense amount of stress and there is a house out there for everyone. I guess my point here is that we looked, we got involved, we tried, for years, and our option didn’t exist, that is why we are creating it, but not without years of forethought and effort leading up to it. This is significant to our house story because it has become a much larger part of our house plan and contributing to the cost of construction than I ever thought possible. About the time we were dealing with the house that wasn’t, our other rental was trashed. A property manager put a tenant in who never should have been. 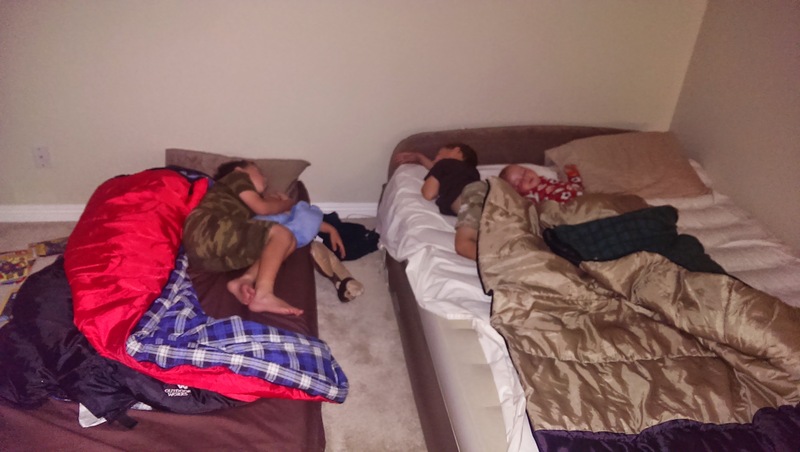 They ended up moving out without us knowing and moved in their family members, siblings, and their boyfriends and girl friends. These new residents partied there with total disregard. I will never understand how people can go through life like this, with total disregard to other people. This is why rents are so high!! They finally gave notice and when we finally got keys back we were astounded. There were six dump loads of stuff to get the house cleaned out. It was bags of belongings, mixed with food that had rotted. The House had cockroaches and carpet beetles, makes my skin crawl. The wood floors had water damage from a leaky refrigerator. The HVAC system was dead, they’d ran it in such a dirty house that it suffocated and cracked. Our property manager never showed up to see the damage, she didn’t care. Lesson learned, owners are always left holding the bag, we will only manage our own properties. In two weeks we had the HVAC replaced, new carpet, new paint inside and out, six dump loads, pest control, massive amounts of cleaning. This was at the same time we were drilling a new well on another house! Probably $10k in damage when all was done. The good news was we had 200+ calls in 5 days on the house. We screened everyone, being super picky, and ended up with amazing tenants. This is also why landlords discriminate against pets, large families, poor credit, anything they can, it’s all you have to go in when handing someone this huge asset and the laws don’t favor landlords!! The other good news is that these horrible people left behind furniture. 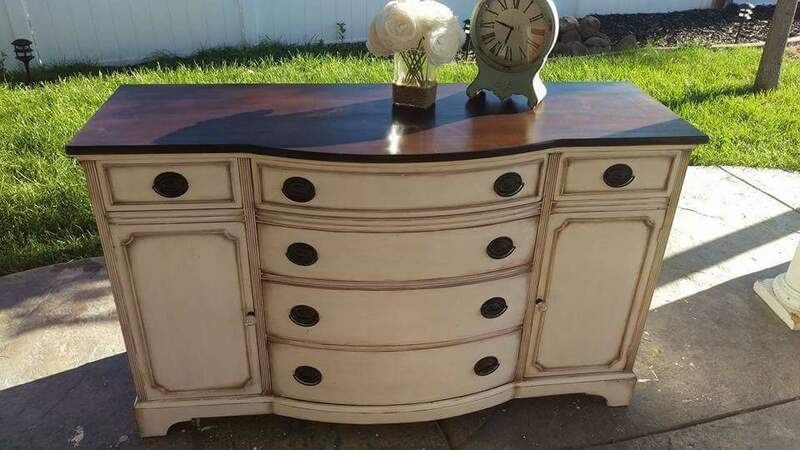 It was a nice quality, solid wood bedroom set. It was in bad shape because they obviously crapped on everything, but too nice for me to put out on the curb, so I brought it home. It sat on the side of my house for several months. 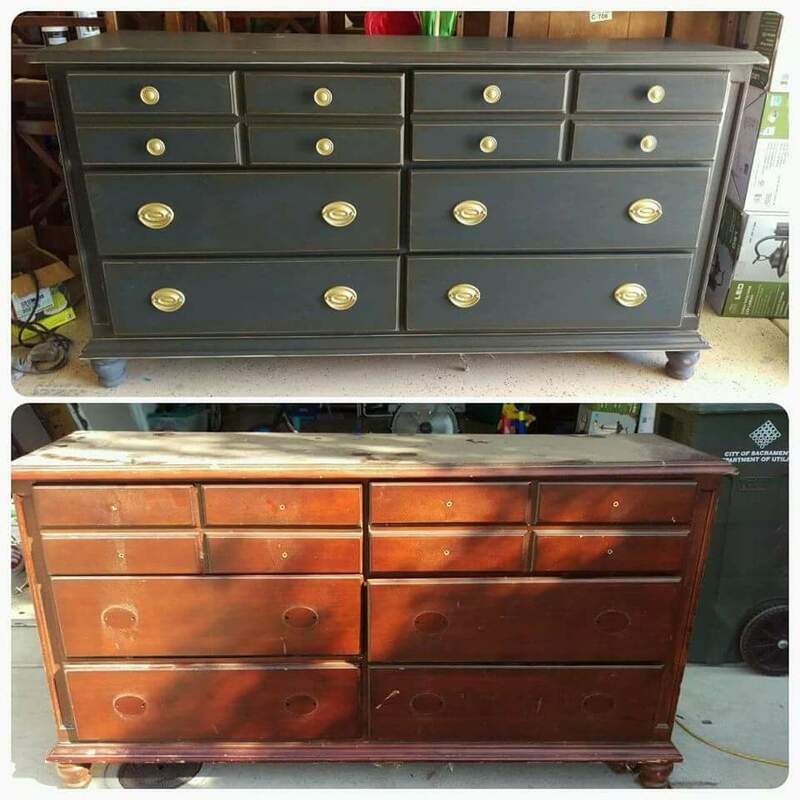 I’ve always been crafty, pretty artistic, so I decided to play with it and bought some chalk paint. It needed a lot of work, but turned out well. A simple finish compared to what I do now. It sold quickly, I think I got $675 for that first set which had come my way for free (unless you count the $10k, lol). I bought another piece, and it sold, then another. I did a few for my own house. Then one of my customers asked for a custom order, what was this, my first order!! One of my customers encouraged me to start a facebook page to compile pics of my work, so I did, sitting on my couch one night. I think I’m busy enough now to call myself a small business owner?? I do 2-3 pieces a week, working about 3-4 hours a day. I mix in custom orders with my own for sale pieces because each for sale piece usually generates 2-3 new custom orders. I read constantly to improve techniques, communicate with other painters, grew my product stash and stockpile of vintage furniture. 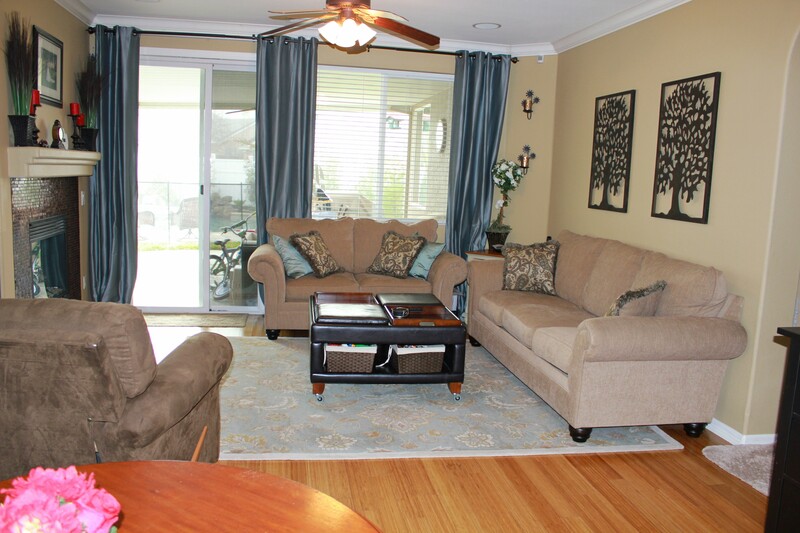 I invest a little from each sale in staging items and paint. I had a watermark made for use on my photos. I share every piece I can in as many places as possible to get my name out there. I have just under 1,000 followers, still small by most standards, but huge to me!! Shocks me that that many people would be interested in what I create in my garage!! Check out my page and follow my work there as well! This small business venture has taken over our garage. What used to hold a boat and my SUV, now has half dedicated to storage and the other half to work space. My skill level has grown dramatically from that first bedroom set. I’ve learned so much! I still struggle with confidence issues, questioning what I am doing, and then something beautiful is created and I can rebound for a bit. The profits have helped us be able to pay much of the up front costs associated with building along with helping us develop a stockpile of construction materials and finishes before we even started on the house. It has become part of our design, we’ve thought about my work space in our floor plan, storage, a garage sink, a spray booth, and eventual detached workshop of my own if this sustains through the move. Painted furniture has become a fundamental part of our new home journey, I’ve done nearly 200 pieces in the last year. Now I tell the kids “I’m working” it’s my job, from the hunt, pick ups, social media, communications, researching, painting, deliveries, our whole family has stepped in to be a part of growing this and the timing couldn’t be better for us. 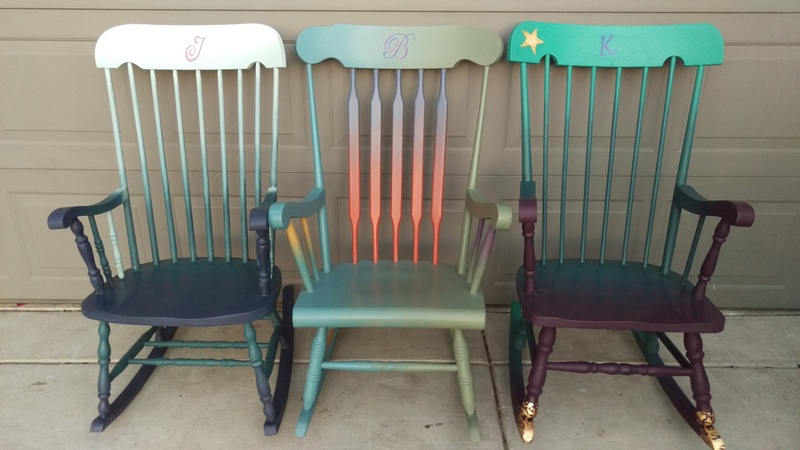 This blog and furniture painting will overlap along the way I am sure. Building walls both literally and figuratively is what we did for a while! In 2004, we both had decent jobs with mortgage companies, no kids, were doing OK. We bought another new construction home that we were so excited for. We got to pick the floor plan, lot, colors, finishes. We moved in in August 2004. We had paid a lot premium for a cul de Sac lot and began questioning why our cul de sac was left open…to the large low income apartment complex next door. There had been a gate there during construction and the builder assured us it would be sealed off once construction was complete. The problems began soon on. We were $500k homes next to low income apartments with direct access, everything that was not bolted down one our cul de Sac was stolen or destroyed. We put cameras up on our house, black and white that recorded to vhs 24/7 and we caught some unbelievable behavior. Urinating in our yards, breaking bottles in the street, loitering, you name it. The apartment residents quickly learned it was a gang out where their security could not respond and the police would take hours to get there. We were primarily white homeowners with African American apartment residents, racial tensions were through the roof. We began exploring and found out that the apartments were the result of a housing ordinance in Sacramento that required 15% of all new construction be low income housing in our area and builders could combine their 15% to create these massive complexes that amounted to nothing more than projects. 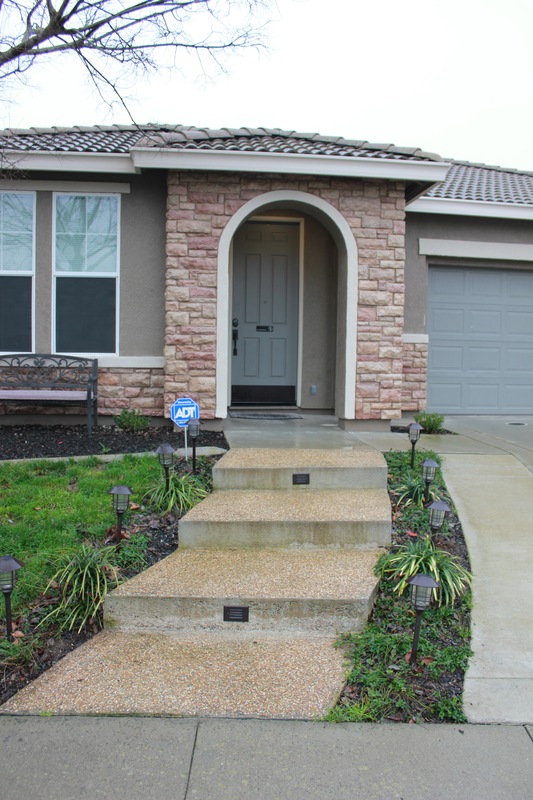 We also found out that the opening in our cul de Sac was a public access easement and would never be closed and was absent from our neighbors title documents. 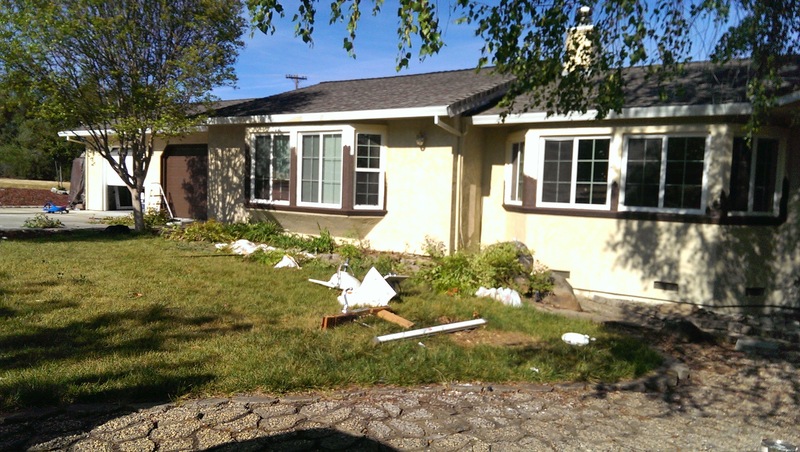 We filed a lawsuit against our home builder along with 5 other homes. One neighbor had a brother in real estate law that represented us. We were a rag tag group with no clue and this was a huge learning experience. After a year of back and forth, we ended up in arbitration, trying to avoid years of a drawn out court battle. We ended up settling with our builder for $15k a house and them paying to build a 15 foot sound wall in between us and the apartments if we could get the city to abandon the easement. 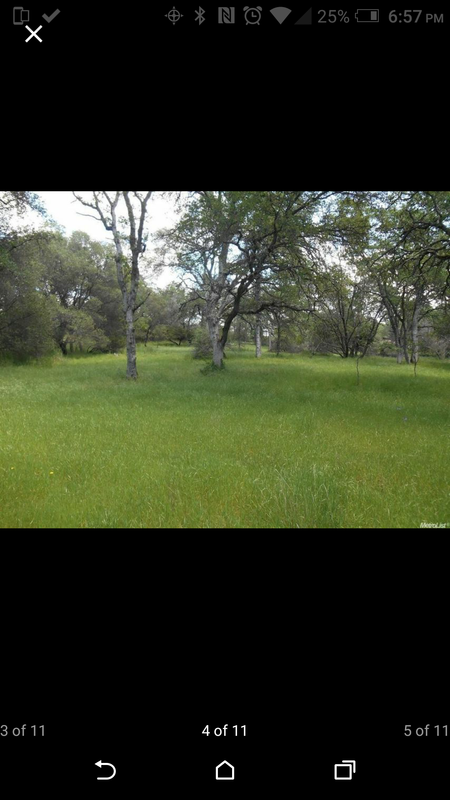 Another owner also got a claim paid by title insurance for the absence of the easement on their documents which equated to a loss of their land in that area. How do you get an easement abandoned?? We started going to events where our city Council person was, talked to him, got put in touch with his staff, and the planning dept, who walked us through the process. We had to describe our plan, get signatures from every department within the city so they could comment on the impact to them. Send letters to homeowners and the apartments, and ultimately present it before city Council. Council saw the torture we were being put through, years of video and crime reports, and they sided with us! We could build the wall!! Our builder got to work building a 15 foot concrete block sound wall between us and the apartments, it was a beautiful thing! Celebration was short lived. The apartment residents proceeded to jump the sound wall and it made little difference in our neighborhood. We were defeated and out of ideas. My neighbors and I would sit out front in the evenings, essentially guarding our property. Through this, I met several neighbors who were curious what our plight was. A few of us Co founded a neighborhood association that got police and neighbors involved. The final straw for me was when I was out guarding my home one evening with a neighbor. I called police to report activity on our street. The apt tenants we were calling on approached me, while I was 4 months pregnant, and got physical with me for calling, pushing me around while the neighbor photographed it. We were leaving that house. We were under water in it because if the market crash, this was before modifications and short sales were being done, the only option was to walk away. But, we worked in mortgage, and the rules hadn’t tightened up quite yet. The other option was to buy a new home before we defaulted on the old one, a buy and bail. The reason we do the things we do, believe what we believe is always based on our own personal life experiences, from politics, to religion, to simple perception. There are far more reasons behind what we are doing and why it is so important to us. I bought my first home in 2001, at age 21. I used my $10k 401k as the down payment on a $149k condo in San Diego, I wish I still had it, it was adorable. When other people were putting custom parts on their cars and going to the club, I was trying to buy a house. I sold that condo two years later and made $50k that was the down payment on our first home in Sacramento, a new construction 3/2 that I still own as a rental. We are bad landlords because I have a sentimental attachment to that house. It was where we lived when Sean and I got married, we keep it immaculately, not ideal for a rental. I worked at banks and credit unions through college. Would take classes in the morning, then work full time, then classes in evening. When we moved to Sacramento in 2001 I took a job at Washington mutual processing mortgages and worked up to underwriting. When the market started changing in 2007, I lost my job for the first time. I loved that job, thought I’d be there for the gold watch, it was a shock. I took another job underwriting, the money was great, but I hated the job, my boss was condescending, it lasted six months before they went through layoffs too. Last in, first out. It was rough. We were trying to get pregnant at the same time, dealing with endometriosis, and the ground kept moving. I took a job as a temp and was placed with the state of CA. Right after getting placed I found out I was pregnant, at the same time I was trying to get hired. I let them know I was expecting and they hired me anyways. 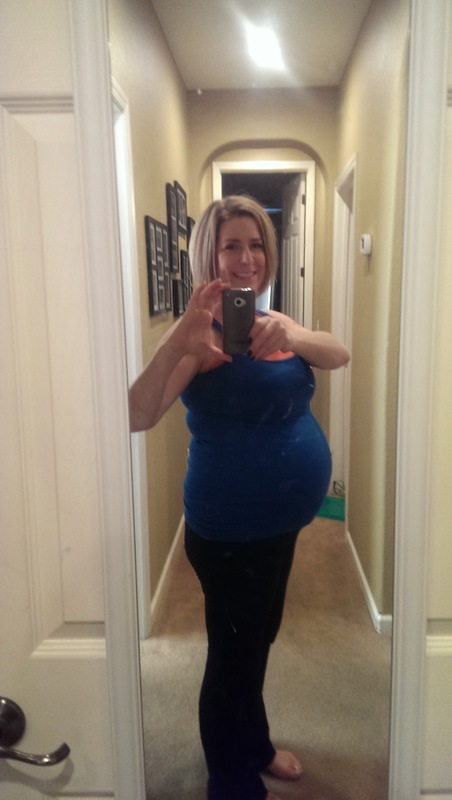 I cried that day, a stable job with the state despite the fact they knew I was pregnant. I worked there for 7 years, part time after my first baby, and had 3 kids, took a year off with each one. Baby #3 was the deal breaker for working part time. It was the point where daycare was more than I was bringing home. It was the hardest choice ever. I appreciated that job so much, no one ever leaves the state, right?? The month my pension vested, I went out on my last maternity leave and didn’t go back. At the same time I was going through this transition, the mortgage companies Sean worked for were shutting down too. Within 6 years, we lost 5 jobs between the two of us, severance packages left and right, his always seemed to come when I was pregnant too. It was devastating. I don’t think I’ll ever look at life the same after what the real estate market crash did to our psyche. Before that we thought we would grow our careers and income and made choices accordingly. After We started basing all decisions on whether we could afford it even on unemployment. We were constantly scared, looking for the next shoe to drop. It dramatically effects how you make decisions. The job losses and uncertainty through the market crash changed us forever. I don’t think we will ever be as optimistic as we might have been otherwise and for that I am sad. Before I can tell he story of the house that will be, I feel like I need to tell the story of the house that wasn’t. It is a huge part of our story in how we made the decision to get to this point. In 2015 we finally found a house that we loved, or so I thought. It was as close as any had come, seemed like a good choice at the time, so we made an offer. It was 2445 sqft on 2.5 flat acres, 3 bedroom, 3 bath, needed some updating from being built in the 1980’s, but was still very much livable. It was listed at $545k, we offered $490k and they rejected it, not even a counter. We sat for a few more months, watching and looking, and they lowered the price to $525k. We went in at $500k and they asked for us to pay some costs and accepted! The transaction on that house was not a smooth one, it was full of bumps along the way. This was a scary choice for us, we needed everything to feel right, so the bumps made it really hard to feel concrete in our decision. We had thought about cancelling he transaction, but the thought of loosing our deposit made it too much to bear. We thought that worst case scenario, and considering all of the houses we’d seen that were much worse, we could at least sell it if things did not work out. We closed on the house in March, hoping that we could do some remodel work and move there when the kids finished school in June. 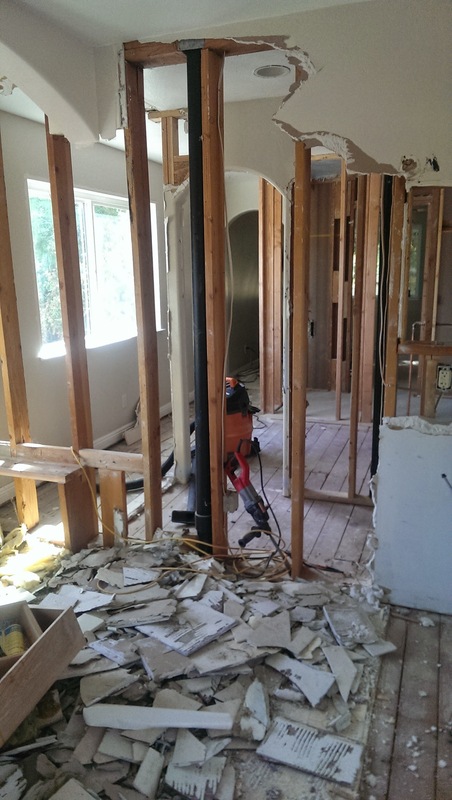 We started tearing out walls, flooring, you name it, The goal was to turn it from a 3 bed/3bath to a 4 bed/2 bath, doing all of the work ourselves. It felt like from the get go, things just went wrong. If I was a believer in signs, they were screaming at me. To this day I’ll swear it was built on an Indian burial ground. Sean practically lived here while I watched he kids and got them to school. He was exhausted, working a full time job then running a one man remodel. It was tough on us all. The kids and I would go out on evenings and weekends and do as much as we could. After four months of stress on our family, our budget managing two houses and a remodel, we were done, I couldn’t even think of wanting to live there. We decided to rent it out, try to get back on our feet, and revisit it later. 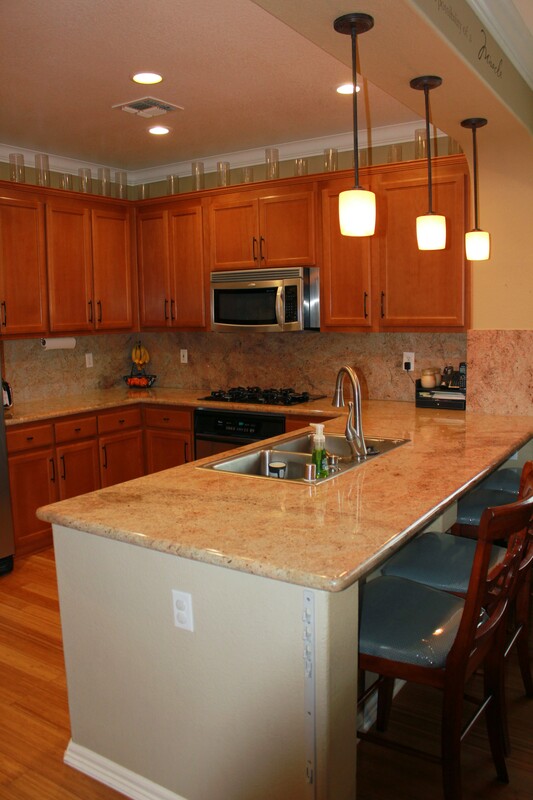 Thankfully it was a competitive rental market, we had a completely remodeled house, and a lot of interest. We chose a tenant that seemed like a good fit but we soon started seeing signs it was not going to be what we hoped. On her business page, we noticed that she’d hosted a large party at the house for her business, calling it “business name ranch”, uh oh! In a subsequent visit to the house we noticed that there were 14 mattresses stored in the garage, and the outbuilding held camping and recreational gear to sleep 50+ people. When we approached that the house could not be used for business purposes, we came to the agreement that it would not work for either party and both exited the lease agreement. That brings us to he next tenant 😦 Within a month of moving in, the well dried up, no water to the house. It was a drought year and an old, shallow well. We had someone look at it, first bid…$12k, on top of the fact that we were just recovering from a remodel, it brought tears. The next bid was $5k, so we drilled a brand new well. A few months later we got a call from a neighbor that our great tenant had taken his tractor and plowed through the 5 surrounding lots, including federal BLM land with total disregard to lot lines! Neighbors were pissed to say the least. We approached him and he defended it and got argumentative with us, the relationship soured and two moths later we got a text saying he was leaving with no notice. The house was empty again, two tenants in less than a year, we couldn’t take anymore, It had been nothing but a bad experience from day one, so we listed the house for sale. We listed it for $599k and got an offer for $595k fairly quickly. Their inspections of course found things that ours hadn’t, and we ended up going down to $580k to essentially buy them a new deck and new roof, like the only two things we hadn’t redone. We were just glad to be done with it. It had been a year of hell on us and our family. I can look back on it now, but in the middle of it, it just felt like a constant storm raining down on us. I value the experience, but hope we never are there again. So now what? Back at square one, no new house, or idea what to do. Back at square one, no new house, still wanting to move and a year of new experiences behind us, we looked at our options. Thankfully, despite being a mistake, the house that wasn’t turned out to be a profitable mistake. 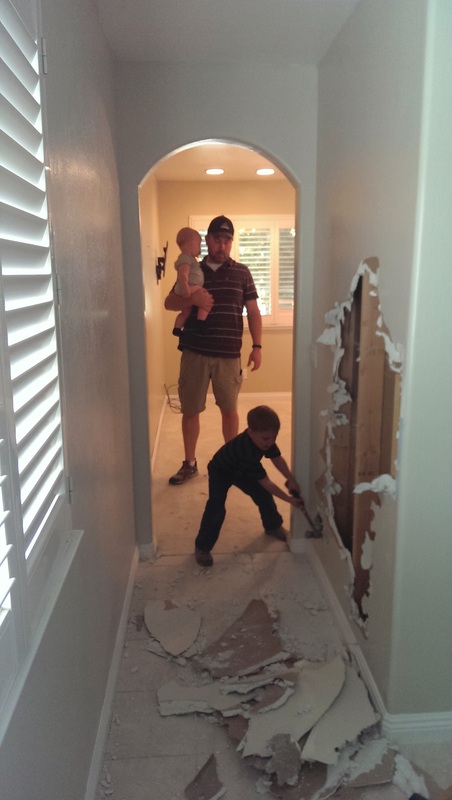 We had spent a year remodeling a house. Every time we got to a project, it started with us saying “What were they thinking?? ?” Nothing in the house was as we would have chosen it. Despite all of the work we’d done, we would have had to sink another $100k into it to truly make it the house that we wanted. We talked that the only way to truly get the house we wanted was going to be to build it ourselves. Why not? Sean has tons of construction experience, I have vision and design ability, really why not? We started looking at vacant lots with a general idea of permit costs and building costs. Honestly, the lot we ended up with is the 2nd lot we looked at, but there were many more after that. 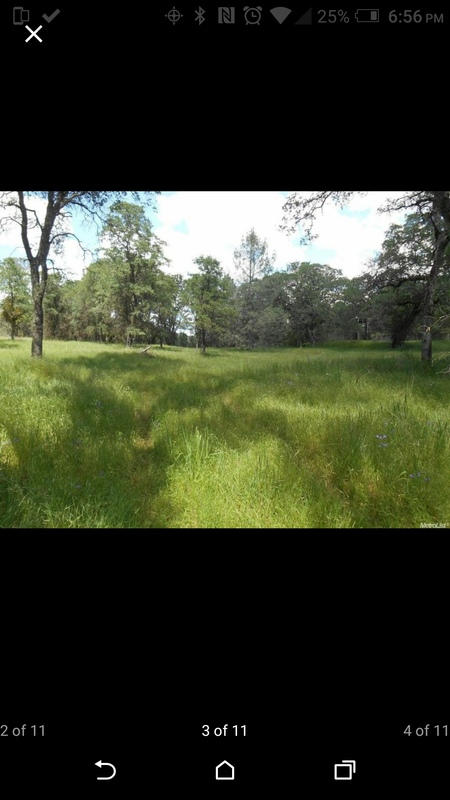 We looked at cheap lots, under $100k, high end lots up to $350k with views of the lake. Our priorities were as flat as possible, not too rural, land but with a neighborhood feel, utilities reasonably close, in a great location. The first lot we loved we made an offer on while we were still selling the house that wasn’t and they accepted contingent on our sale. They ended up getting another offer before we closed, and we were bumped out of contract. In hindsight, that was a good thing because we like our lot much better. 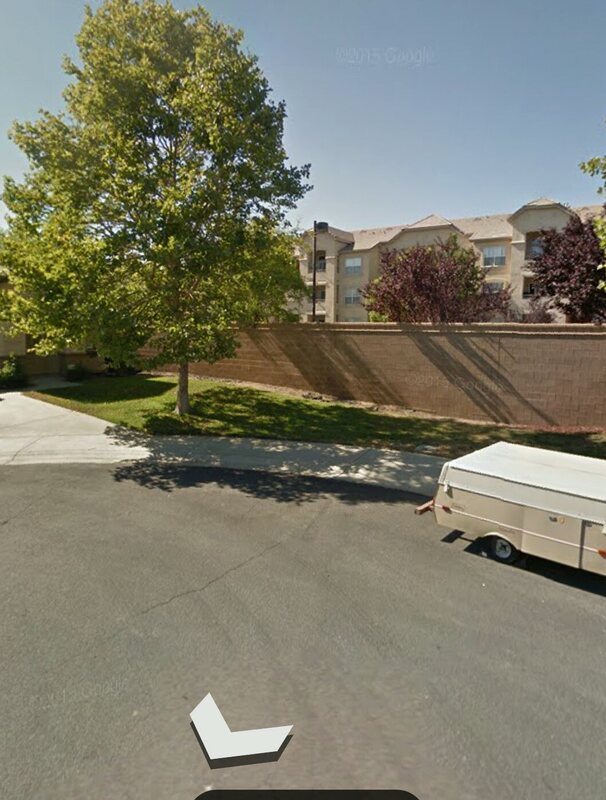 Our lot was just around the corner, in the same neighborhood, but is flatter and better laid out. The problem is that they were asking $265k and the one around the corner had gone for $200k. We offered $200k and they rejected. After a few months of reminding them that we were interested, they came down to $225k and we accepted. Fortunately we were able to use the profit and down payment from the house that wasn’t and pay cash for the lot with the old owner carrying a small $25k loan until we start construction. 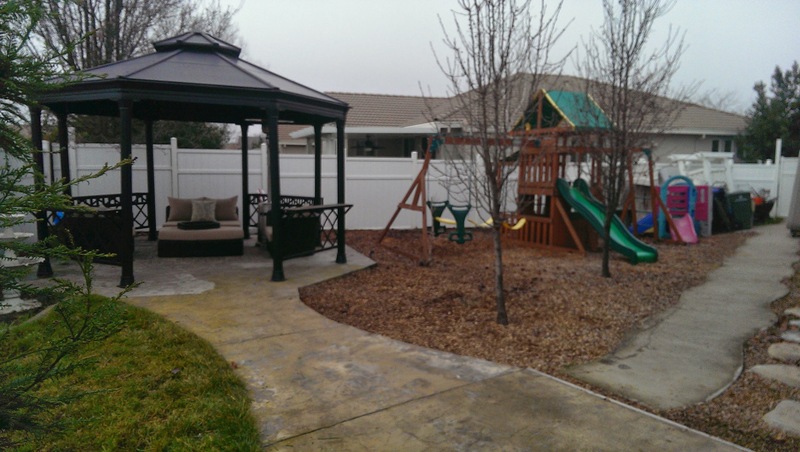 The lot is in a gated community with a small hoa of $500/year that maintains the private road and the gates. Most of the homes were built in the 1990’s so the neighborhood is mostly built out. The owners of our lot had planned to build on it, but when the crash happened they bought elsewhere and got stuck holding he lot for 10+ years. 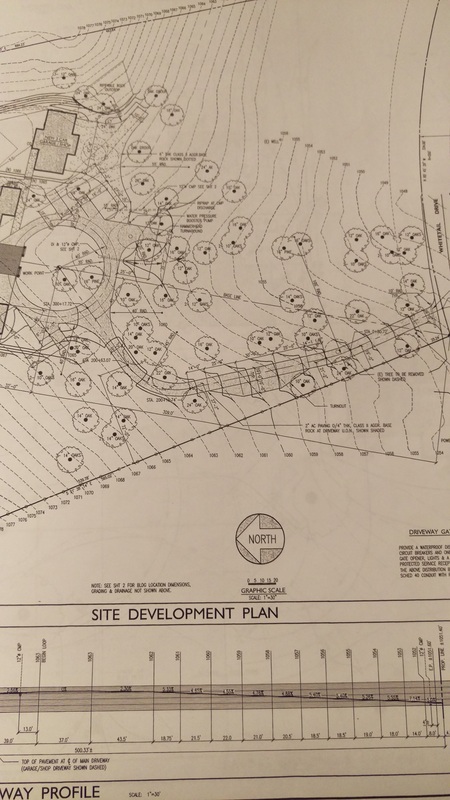 It has two wells already drilled and came with house plans for the house they had planned to build, but unfortunately was not the house we wanted to build. 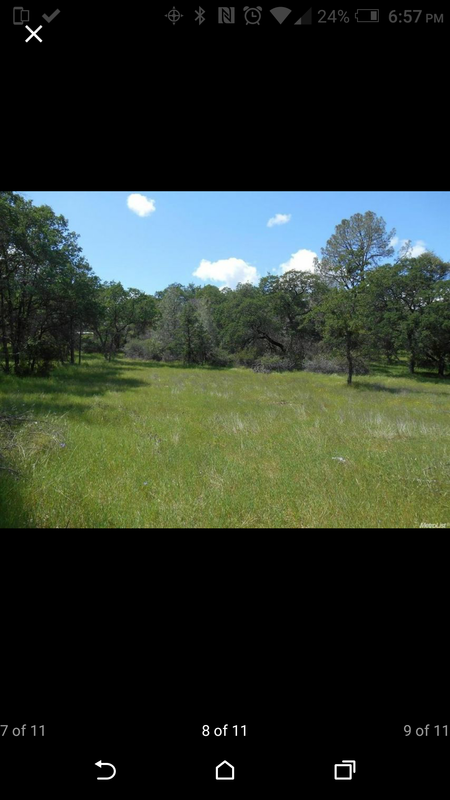 So now we had a vacant plot of land, big dreams, and no clue! I have been asked so many times, by so many people to tell the story of our custom home build in the form of a blog. This is a once in a lifetime experience and I’m also hoping to record it for our family to have to look back on and maybe inspire people that this is not impossible. The majority of this will be written from a cell phone app, before I go to bed at night, but I hope this becomes a great story. The reason? 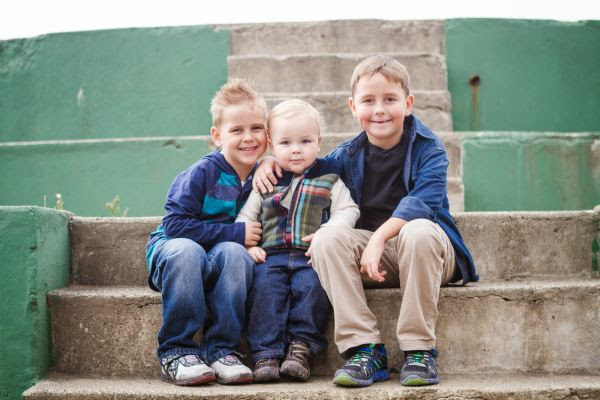 My 3 boys are always the reason, for everything we do. This is more than a house to us, this is our dream. If I were to psychoanalyze, it probably relates back to not having one true place that I grew up, we moved all the time. I want a place hat we can always come back to, where we can set down roots, where my boys can be a tree, and maybe climb a few, 3three in a tree. For years we’ve looked at houses. In 2010 I broke my ankle looking at a house and that was nowhere near the first one. The house we live in is 1910 sqft, on @ 1/4 acre, nowhere near a palace, but it is well utilized sq footage. 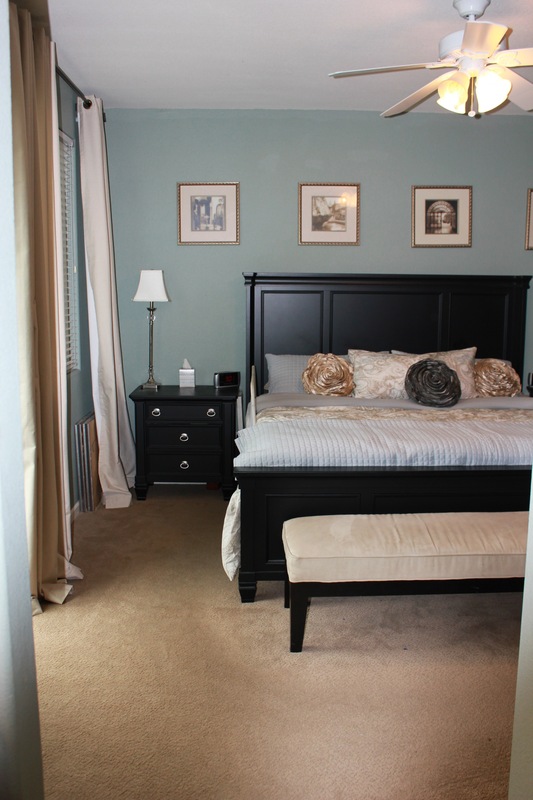 We have plenty of closet space, a formal living and dining, all of the kids have their own rooms, we have a pool and swing set, go to the best school in the area. 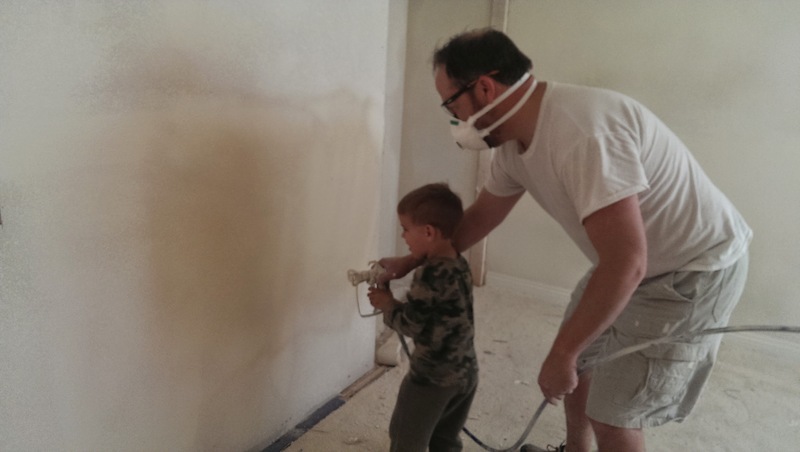 Sean and I have redone every room of this house since we moved here in 2009, Noah was just six months old, all of our boys have come home here, this is the only home they know, it will be a tough act to follow. Every home we have looked at, and there have been many, has been compared to this one, it had to be better in every way or it was a deal breaker. I have always been very conservative, have a degree in finance, am a saver, better safe than sorry. But because we don’t play big, its hard to win big either. Thanks to buying in the market crash, our mortgage payment here is $800, you cant even rent an apartment for that anymore, this is the safe choice. We’ve struggled with the mental battle of making he safe choice vs. always wanting something more, it feels like settling. We started to feel more pushed out than pulled when we saw the neighborhood becoming something we no longer felt like we could call home forever. A few years ago squatters burned down the house behind us, we watched it burn while we wet our fences to keep it from causing damage. It sat as a burnt out shell for years, being used for drugs and loitering. Every time my boys play out front, I have to sit on the front steps to watch them. We just wanted more. This is our dream, not world traveling, I prefer to stay at home. 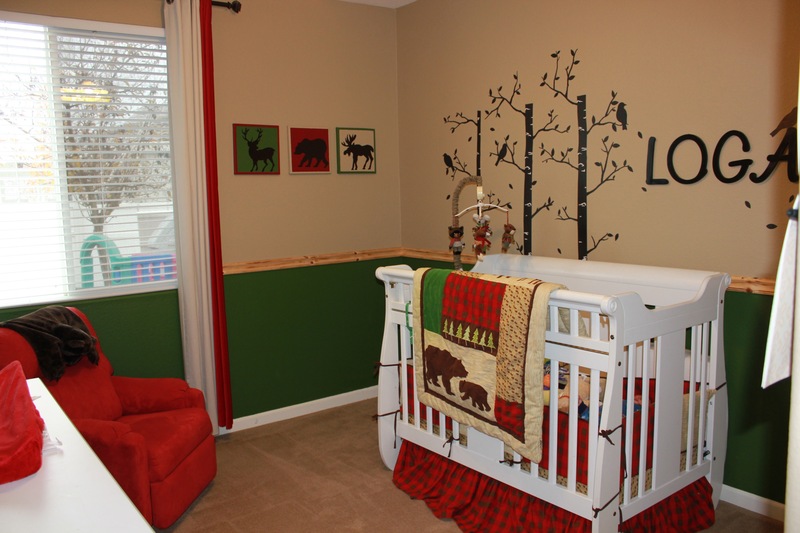 I love everything to do with home decorating and DIY. If HGTV were the only channel on TV, I’d be a happy camper. I’ve been envisioning his house in my head for years. We have no safety net. When we decided to do this, we had to be in, so we are ALL in!